Along with Wonder Girls and 2NE1, SNSD, otherwise known as Girls’ Generation, is considered one of the most popular girl groups from South Korea. Debuted on August 5, 2007, under their home agency SM Entertainment, SNSD used to be underestimated by the public due to the large number of its members, earning the degrading title as the merely female version of their senior labelmate Super Junior. However, SNSD has proven otherwise as they continuously release high-quality albums, be it a mini-album or full album. 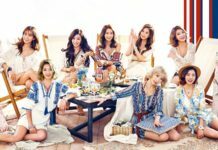 The successful state of SNSD also made them able to venture into the Japanese music market as they have released three full Japanese albums. Seeing it this way, it is not exaggerating to say that SNSD is indeed South Korea’s National Girl Group even though currently they are not actively promoting as a group after the departure of Tiffany, Sooyoung, and Seohyun in 2017. 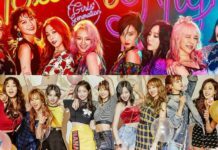 Still, it is not too late to discover every album of SNSD, which in this article has been compiled by Channel-Korea, starting with their first album to their most recent and all the side projects along the way. So, keep reading! 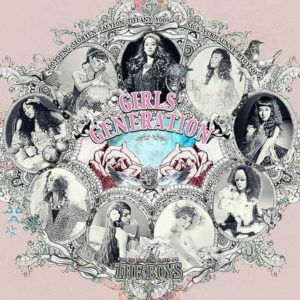 After releasing the single album ahead of their debut on August 5, 2007, SNSD finally released their first full album titled Girls’ Generation on November 1, 2007, in South Korea by SM Entertainment and November 30, 2007, in Taiwan by Avex Asia. The album successfully tops at #1 on MIAK Monthly Album Chart in 2008 and peaked at #2 on MIAK Monthly Album Chart in 2007, #12 on MIAK Year-end Chart in 2007, and #16 on Gaon Weekly Chart in 2010 whereas the sales of the album have reached over 206,047 in South Korea. 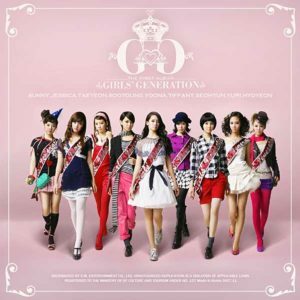 In addition, the album which has the repackage version Baby Baby which is released on March 13, 2008, and recorded from December 2006 to August 2007 has eleven tracks, namely “Girls’ Generation”, “Ooh La-La!”, “Baby Baby”, “Complete”, “Kissing You”, “Merry-Go-Round”, “Tears”, “Tinkerbell”, “7989” (Taeyeon and Kangta duet), “Honey”, and “Into the New World”. Here you may listen to the last track of Girls’ Generation titled Into The New World which is composed by Kenzie and which the digital downloads have reached more than 41,500 downloads! Girls’ Generation did a venture to the neighbor country Japan by releasing their first Japanese album titled Girls’ Generation on June 1, 2011, in Japan by Nayutawace Record for the physical CD, DVD, and digital download, July 13, 2011, in South Korea for the physical CD by SM Entertainment, and December 28, 2011, in Japan for the repackage version titled The Boys (physical CD and DVD) by Nayutawave Record. The album successfully tops at #1 on Oricon Weekly Album Chart. Billboard Japan Weekly Top Albums, and G-Music Taiwan Weekly Album Chart in 2011 and peaked at #5 on Oricon Japan Year-end Album Chart and #3 Billboard Japan Year-end Album Chart in 2011 whereas the sales of the album have reached over 864,000 copies in Japan, receiving the certification from RIAJ as the top million-seller, and 11,900 copies in South Korea. In addition, the album which is recorded from August 2010 to March 2011 has twelve tracks, namely “Mr. Taxi”, “Genie” (Japanese version), “You-aholic”, “Run Devil Run”, “Bad Girl”, “Beautiful Stranger”, “I’m in Love with the Hero”, “Let It Rain”, “Gee” (Japanese version), “The Great Escape”, “Hoot” (Japanese version), and “Born to Be a Lady”. 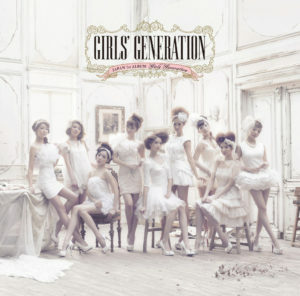 Here, you may listen to the first track of Girls’ Generation titled “Mr. Taxi” of which the digital downloads have reached more than 174,300 downloads in Japan and 12,900 downloads in South Korea and is composed by STY, Scott Mann, Chad Royce, Paolo Prudencio, and Allison Veltz! SNSD made their comeback in 2017 by releasing their sixth full album titled Holiday Night on August 4, 2017, for the digital download (worldwide release) and August 7, 2017, for the physical CD in South Korea. The album is a commemoration to the tenth debut anniversary of the group and Lee Sooman served as the album’s executive producer. The album successfully tops at #1 on Billboard Weekly World Album Chart and G-Music Taiwan Weekly Album Chart and peaked at #5 on Billboard Heatseekers Weekly Albums Chart, #6 on RMNZ New Zealand Heatseekers Weekly Albums, #16 on Oricon Japan Weekly Album Chart, #30 on ARIA Australia Weekly Digital Albums, and #58 on SNEP French Weekly Digital Albums. In addition, the album which is recorded from November 2016 to May 2017 has ten tracks, namely “Girls Are Back”, “All Night”, “Holiday”, “Fan”, “Only One”, “One Last Time”, “Sweet Talk”, “Love Is Bitter”, “It’s You”, and “Light Up the Sky”. 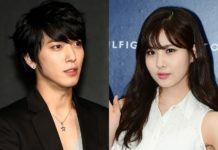 Here, you may listen to the third track and also one of the title tracks of Holiday Night titled “Holiday” which is composed by Kenzie and which the member Seohyun took participation in writing the lyrics and which the digital downloads have reached more than 385,000 downloads, earning its position at #6 on Billboard Digital Chart, #12 on Gaon Digital Chart, #16 on Gaon K-pop Hot 100, and #32 on Oricon Japan Hot 100! SNSD did a comeback in 2010 by releasing their second full album titled Oh! on January 28, 2010, in South Korea, whereas its repackaged version titled Run Devil Run released on March 17, 2010. The album successfully tops at #1 on Gaon Weekly Album Chart and peaked at #2 on G-Music Taiwan Weekly Album Chart and Gaon Year-end Album Chart in 2010, #54 on Oricon Japan Weekly Album Chart, and #76 on Gaon Year-end Album Chart in 2011 whereas the sales of the album have reached over 418,100 copies and 36,000 copies in Japan. In addition, the album which is recorded from September to December 2009 has twelve tracks, namely “Oh!”, “Show! Show! Show!”, “Sweet Talking Baby”, “Forever”, “Be Happy”, “Boys & Girls”, “Talk to Me”, “Star Star Star”, “Stick wit U”, “Day by Day”, and the bonus tracks of “Gee” and “Tell Me Your Wish (Genie)” while the repackage track “Run Devil Run” and the additional track “Echo” is only available in the repackage album. Here you may listen to the first track of the full album titled Oh! which is composed by Kenzie and which the digital downloads have reached more than 3,316,800 downloads, earned its position at #1 on Gaon Digital Chart! SNSD did a comeback in the last quarter of 2011 by releasing their third full album titled The Boys on October 19, 2011, in South Korea for the physical CD and digital download by SM Entertainment and KMP Holdings, October 26, 2011, in Hong Kong by Universal Music Hong Kong, November 5, 2011, in Japan for the physical CD by Universal Music Japan, November 11 2011, in Australia for the digital download byUniversal Music Australia, December 9, 2011, in South Korea for the repackage version “Mr. Taxi” (the physical CD) by SM Entertainment, January 13, 2012, in Taiwan for the repackage version of Mr. Taxi (the physical CD) by Universal Music Taiwan, and January 17, 2012, in the United States for the physical CD and digital download by Interscope Records. The album successfully tops at #1 on Gaon Weekly Album Chart in both 2011 and 2012 and Gaon Year-end Album Chart in 2011 and peaked at #2 on Oricon Japan Weekly Album Chart and Billboard World Weekly Albums Chart, #3 on G-Music Taiwan Weekly Album Chart, #17 on Billboard Heatseekers Weekly Albums Chart, #33 on Gaon Year-end Album Chart in 2012, #64 on PROMUSICA Spain Weekly Album Chart, and #130 on SNEP France Weekly Album Chart, whereas the sales of the album have reached over 467,783 copies in South Korea, 107,762 copies in Japan, and 1,000 copies in the United States. In addition, the album which is recorded from July to September 2011 has thirteen tracks, namely “The Boys”, “Telepathy”, “Say Yes”, “Trick”, “How Great Is Your Love”, “My J”, “Oscar”, “Top Secret”, “Lazy Girl” (Dolce Far Niente), “Sunflower” (Walking on the spot), “Vitamin”, “Mr. Taxi” (Korean version), and “The Boys” (English version). Here you may listen to the first track of the full album titled The Boys which the digital downloads have reached more than 3,032,658 downloads in South Korea and 21,000 downloads in the United States, earned its position at #1 on Gaon Digital Chart and Gaon K-pop Hot 100 and #12 on Oricon Hot 100 Chart! All About Midnight “Temptation” Park Ha-sun: Profile, Wedding, Movies, TV Shows, etc.